Dates: 5-11 May 2019 FULLY BOOKED! 05 May: we meet in Santiago, check-in in our hotel at 15.00 and have some free time to explore one of the most beautiful cities in Spain. In the evening, the group comes together for a formal welcome around the dinner table, well stocked with all sorts of Galician delicacies. 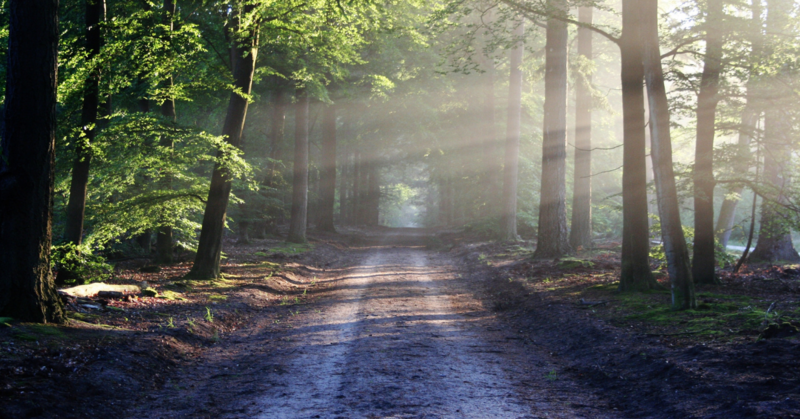 06 May: we start walking in the morning, at around 8.30-9.00 for our first stage, Santiago-Negreira, 22 kms. Upon arrival we will have a yoga session. 07 May: second stage, Negreira-A Picota, 28 kms. Yoga session. 08 May: third stage, A Picota-Corcubión, 28 kms. Yoga session. 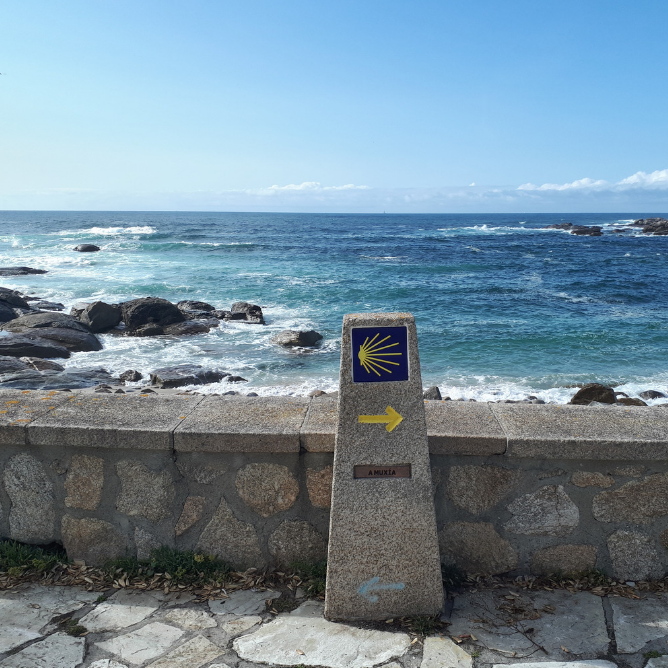 09 May: fourth stage, Corcubión-Finisterre, 16 kms. Yoga session. 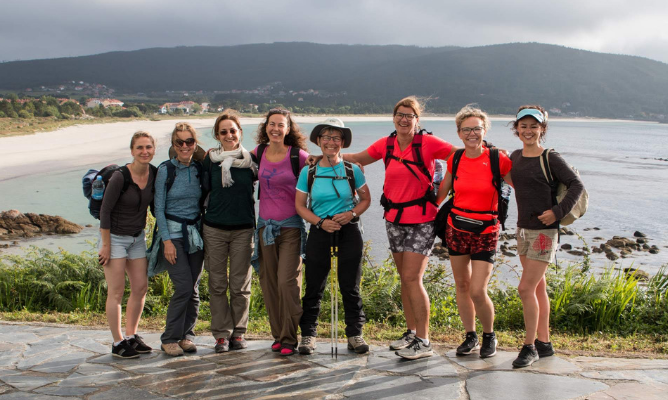 10 May: fifth stage, Finisterre-Muxia, 28 kms. Yoga session. 11 May: back to Santiago!